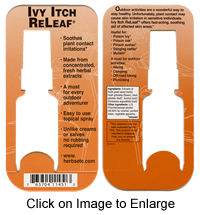 Bulk Discounts for Ivy Itch ReLeaf® 1oz. 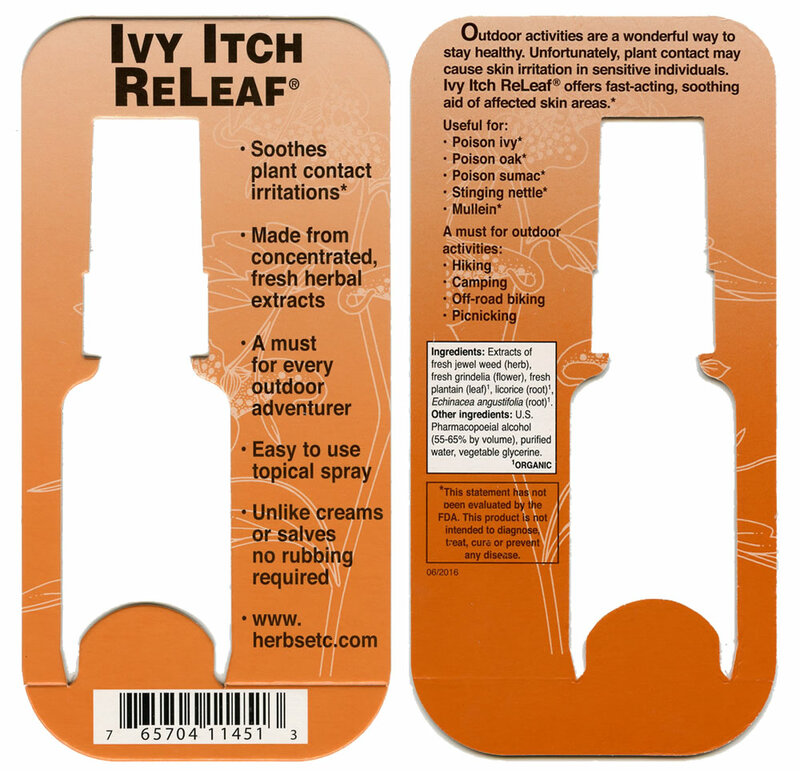 Ivy Itch ReLeaf® FOR EXTERNAL USE ONLY. Soothes plant contact irritation in sensitive individuals. Unlike creams or salves no rubbing required, just spray. Suggested Use: Spray liberally on skin areas from three to five times a day. Let dry. I love this spray, works great. You are an herb master. My mom said that Herbs, Etc. made Ivy Itch ReLeaf¨. I put it on and it was an instant relief.